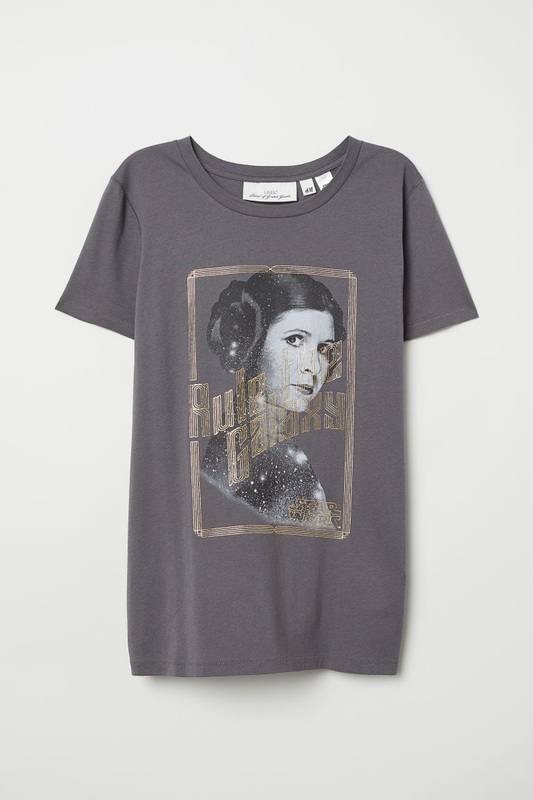 This beautiful women’s Star Wars Princess Leia t-shirt is now available at H&M. 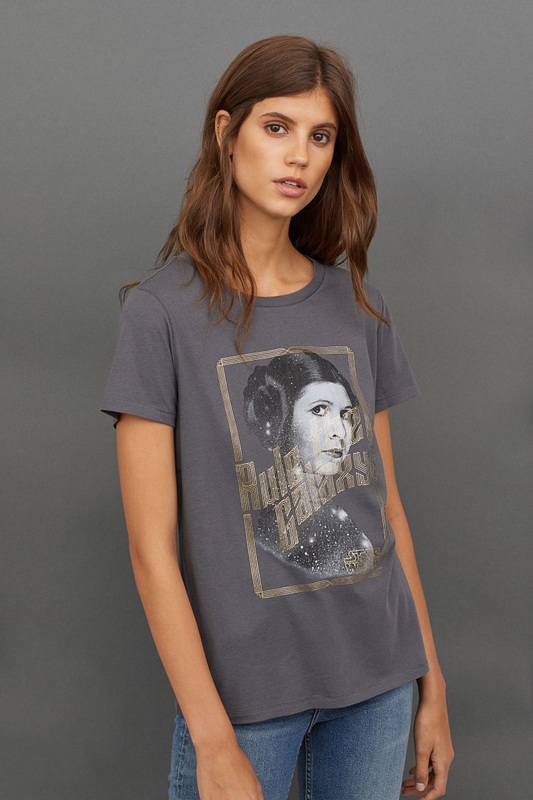 Made from 100% cotton, the grey t-shirt features a front print of Princess Leia, with the text ‘Rule The Galaxy’ in a metallic gold-toned accent. 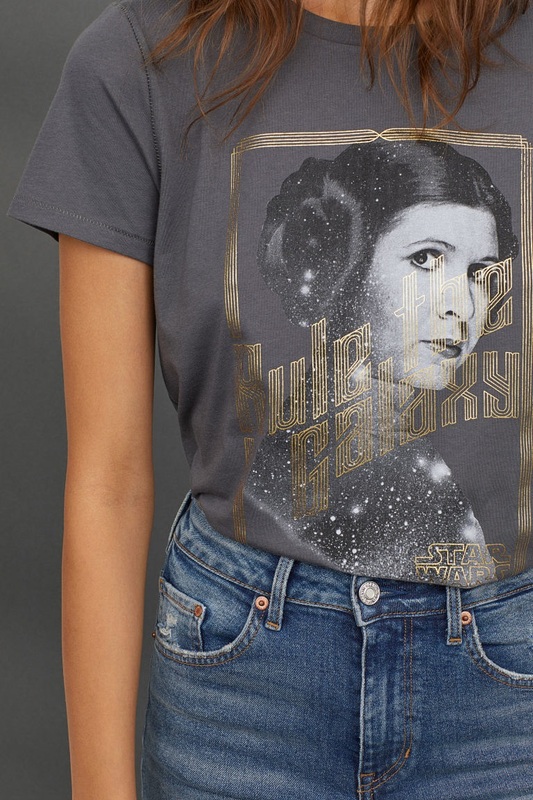 Of course I always *need* more Princess Leia shirts – and the gold accents are just gorgeous. 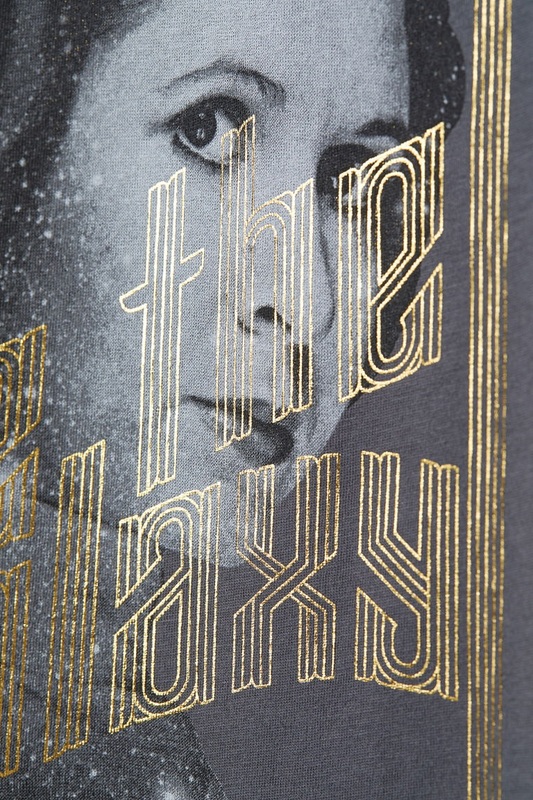 Fitted T-shirt in soft cotton jersey with a shimmering gold-coloured print motif on the front. 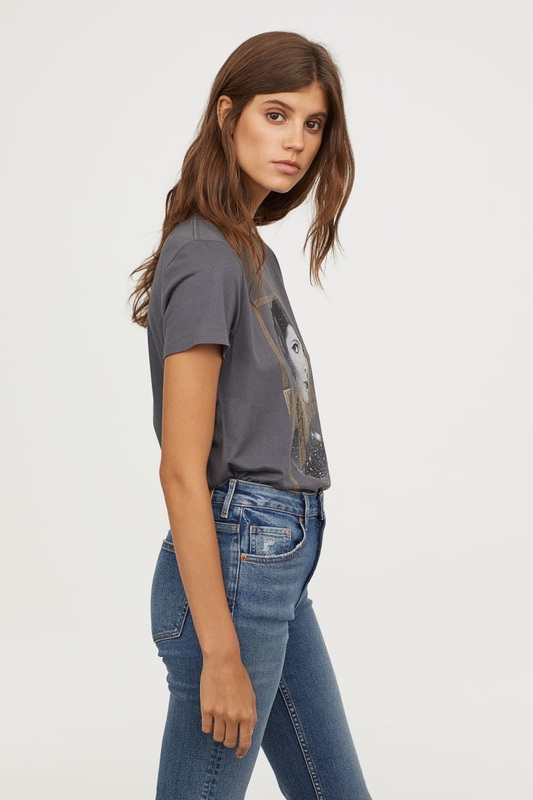 Available in sizes XS to XL, the t-shirt is priced at US$12.99 each (pricing depends on country) – H&M only ships within each country they are based (find yours here), or otherwise you can order from the US website via a mail forwarding service. 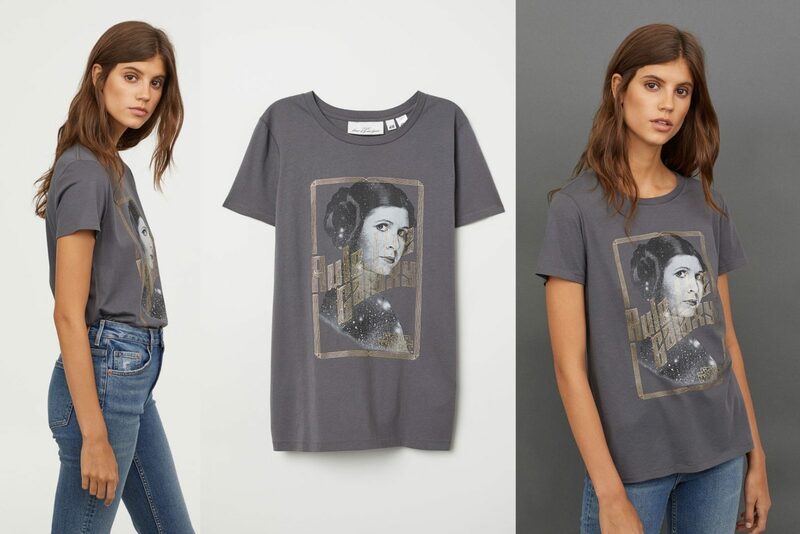 Photos sourced from and belong to H&M.